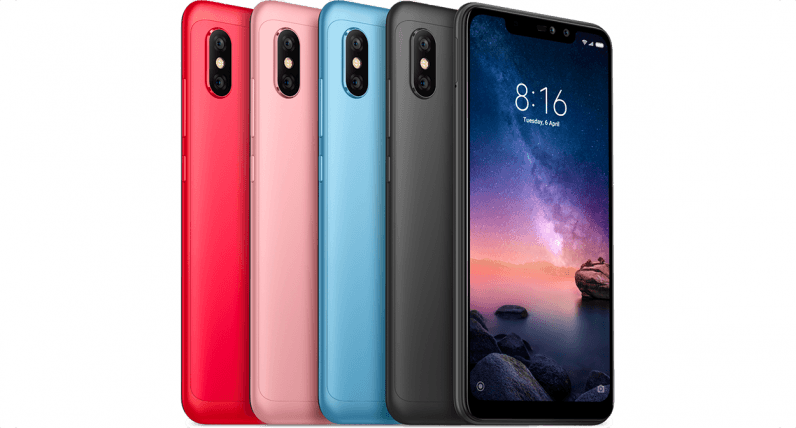 Xiaomi has built a commanding position in the Indian smartphone market by selling a wide range of affordable phones priced between $85 to $200 over the past few years. It’s now added an intriguing new model to its budget Redmi lineup: the Redmi Note 6 Pro. The design and internals of the phone are same as the Redmi Note 5 Pro. However, it’s the first time the company’s introduced dual front cameras in this series. The company spent a lot of time on stage talking about camera improvements. Xiaomi said that it introduced a wider f/1.9 aperture, increased the pixel size on the sensor, and enhanced the autofocus system’s speed and accuracy. Plus, the camera now has Electronic Image Stabilization (EIS) for smoother video capture. There’s AI scene detection as well (like you didn’t see that coming), which can identify 27 different scenes through the rear camera and 12 scenes through the front camera for automatic settings adjustments. You’ll also get AI-enhanced portraits with adjustable depth and studio lighting effects. The device has an interesting feature called “Wi-Fi passthrough”, which lets your device act as a repeater when its connected to a Wi-Fi network. That means you can connect other gadgets to the Redmi Note 6 Pro, and access the internet without using mobile data or having to ask for multiple Wi-Fi vouchers at hotels and airports. If you’re wondering why the 6 Pro is virtually the same as the last model, it’s likely because Xiaomi doesn’t want to steer away from a winning formula. The company’s global VP, Manu Kumar Jain, noted in August that the Redmi Note 5 Pro was the second biggest seller during Q2 2018. The phone starts at Rs 13,999 ($194), and it’ll be available from November 23.